For an event, you only have one chance to get everything right. There are many things to coordinate that all need to come together to make it all work. One thing going wrong can mess up an event. At Fire Up Video, we take those extra steps and precautions to make sure you have one less thing to worry about going wrong. You can’t afford to be at a live event where the Jumbotron has a crucial role, and then come to find there is a problem and it won’t work. You have planned your event around having a big screen TV, so if it’s not working, that creates a huge problem. We realize you only have one shot to make your event happen, which is why we do everything we can to make sure our LED screens are working and ready to. And if we do run into any problems, which does occasionally happen with all technology, we have backup plans ready to go. In the live event industry, especially when dealing with technology, you NEED a plan B. Or even better, plans A-Z. We at Fire Up Video do our best to have multiple options for different setups and event needs, with backup plans ready to go. We have seen first hand what happens when someone shows up right before an event and just expects everything to work exactly as they have it in their mind. But rarely do things go 100% according to plan, whether it is something in your control, something with your equipment, or something that relies on others. It usually doesn’t end well if you don’t give yourself some room to work around any issues or delays. If you experience these delays, the event can be greatly affected, and it could be too late to fix the problem. Which again is why we find it so important to come early, prepared, and ready with backup plans. We never know what unexpected situations we could run into, but we have options when we do. This is such a valuable part of what we do, but it often gets overlooked. We will always come ready to provide you with the best possible show, no matter what happens. We are committed to making our part of the event stress-free, as well as a high-quality experience for you and your guests. The event only happens once, and we make sure it happens how it’s supposed to. 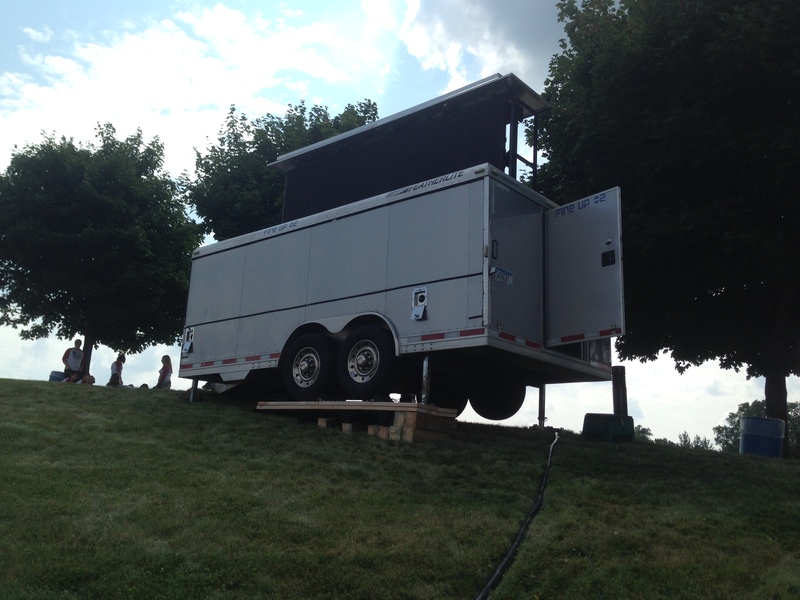 Fire Up Video provides mobile LED video walls for events all over the Midwest. 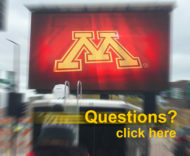 We rent our video boards to states such as Minnesota, North Dakota, South Dakota, Colorado, Nebraska, Kansas, Ohio, Missouri, Wisconsin, Illinois, Michigan, Indiana, Iowa, Tennessee, Kentucky, and more. For more information or if you have any questions about the service we provide, contact us at 844-533-8848 or baum3@earthlink.net.